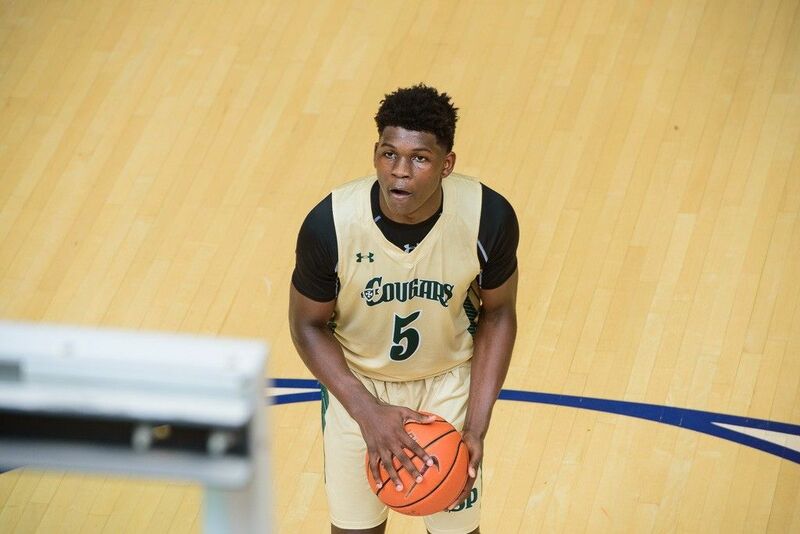 Edwards, who currently attends Holy Spirit Prep in Atlanta, had received a number of offers but cut his list to five schools in November, when he reclassified from 2020 to 2019. The shooting guard visited both Georgia and Kentucky but never accepted an invitation to visit Kansas and North Carolina. He was scheduled to visit Florida State over the weekend but canceled the visit and committed to Georgia instead. "The reason I picked the University of Georgia is because it's my home school," he was quoted as saying by ESPN. "I want to put the state school back on the basketball map. Tom Crean is a great dude, and I believe in him coaching me and developing me. On my visit we watched film together, and he talks with so much energy." Edwards, who ranks as the number one shooting guard in ESPN 100 for the class of 2019, become the Bulldogs’ highest ranked recruit in history. The 17-year-old, who took an official visit to Georgia on December 1, added that the opportunity to be coached by Crean was a decisive factor. The 52-year-old took charge of Georgia in March last year but has previously coached NBA stars such as Dwyane Wade and Victor Oladipo. "Two of my favorite players, Dwyane Wade and Victor Oladipo, were coached by Tom Crean and he's a great coach," Edwards was quoted as saying by 247Sports. "They came in, not highly rated, and came out really good. It weighed big on me." Edwards lives approximately 90 minutes away from Georgia’s campus and he admitted the opportunity of remaining close to his family while at college was very important to him. "I went to a game and I felt the fans in the gym, everybody showing love, and I felt like I was home,” he added. “My sister just had my nephew, I want to see him grow, so [staying close to home] was a big factor." A McDonald’s All-American selection, the 6-foot-4 guard is averaging 26.7 points, 8.7 rebounds, 2.5 assists this season, while shooting 38 percent from beyond the arc.